Stewart L. McDowell is a partner in the San Francisco office of Gibson, Dunn & Crutcher. She is a member of the firm’s Corporate Transactions Practice Group, Co-Chair of the Capital Markets Practice Group and is a member of the Steering Committee of the Securities Regulation and Corporate Governance Practice Group. Ms. McDowell’s practice involves the representation of business organizations as to capital markets transactions, mergers and acquisitions, SEC reporting, corporate governance and general corporate matters. She has significant experience representing both underwriters and issuers in a broad range of both debt and equity securities offerings. She also represents both buyers and sellers in connection with U.S. and cross-border mergers, acquisitions and strategic investments. 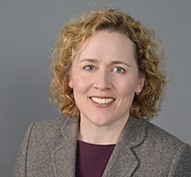 Ms. McDowell received her law degree from the University of Virginia School of Law in 1995 and her Bachelor of Arts degree from Princeton University in 1991. The Recorder has named Ms. McDowell as a “Women Leader in Tech Law” for the last three years. She is ranked by Chambers USA for Capital Markets: Debt & Equity (California). She was also named a “Top Woman Lawyer” by the Daily Journal in 2017. Ms. McDowell is a member of the California State Bar and the New York Bar Association. T-Mobile-Stock Up – customer stock rewards program and over $10 billion in note offerings. The Rubicon Project – initial public offering. YuMe – representation of Citigroup Global Markets and Deutsche Bank Securities in initial public offering. Marin Software – representation of Goldman Sachs and Deutsche Bank Securities in initial public offering. Xoom – representation of Barclays and Needham in initial public offering. Restoration Hardware – initial public offering. Accuray Incorporated – two 144A convertible note offerings. Amazon.com, Inc. – registered convertible note offering. Ancestry.com, Inc. – initial public offering. Cadence Design Systems, Inc. – three 144A convertible note offerings. Xilinx, Inc. – two senior note offering and two 144A convertible note offerings. Financial Engines – representation of Goldman Sachs in initial public offering. Thoratec Corporation – 144A offering of convertible notes. Lazard – representation of Lazard as placement agent in more than 25 convertible note exchange offers. Large Semiconductor Company – more than $20 billion of offering of debt and convertible debt. Wells Fargo & Company – representation of underwriters in over 40 global notes offerings, medium-term note programs, bank note programs and trust preferred and enhanced trust preferred securities offerings; representation of underwriters in common stock offering and Treasury warrant auction. Uber Technologies, Inc. – sale of South East Asia business to Grab Taxi. HTC Corporation – business cooperation arrangement involving sale of a portion of HTC’s smart phone business to Google. Glassdoor, Inc. – pending sale to Recruit Holdings, Ltd.
St. Jude Medical, Inc. – $25 billion sale of St. Jude Medical to Abbott Laboratories. Cash and stock acquisitions of public companies AGA Medical and E.P. Medsystems and staged acquisitions of Nanostim and CardioMems. Conversant, Inc. – $2.3 billion sale of Conversant to Alliance Data Systems. Sale of division to IAC/Interactive Corp., cash and stock acquisition of Dotomi, Inc., Commission Junction and WebClients. Cash acquisitions of SET Media, Greystripe and Investopedia. Cadence Design Systems, Inc. – cash merger acquisitions of public companies Verisity Ltd., a Nasdaq listed Israeli company and Simplex Solutions, Inc. Cash merger acquisitions of Denali Software, Cosmic Circuits, Altos Design Automation, Azuro, Inc., Taray, Neolinear, Celestry Design Technologies, Verplex Systems, and Taray. Asset acquisitions of two business groups from IBM. Marvell Technology Group – sales of three divisions. Intuit, Inc. – cash acquisitions of Docstoc and Good April. China Network Systems – sale of shares of Taiwanese cable system to MBK Partners. Wyse Technology, Inc. – representation of the principal shareholders of Wyse Technology in connection with sale to Dell Corporation. Representation of principal shareholders in prior investment by Garnett & Helfrich Capital, L.P. and subsequent recapitalization. Serena Software, Inc. – simultaneous US/UK cash and share offer for UK-based Merant plc. Cash merger acquisitions of Pacific Edge Software, Data Scientific Corporation and Apptero, Inc. Representation of founder and management in going-private transaction with Silver Lake Partners.